This week on Thursday 7 September, 7-9pm, Camberwell’s BA Fine Art programme is pleased to present an opportunity to hear from artist Joan Snyder in a rare visit to the UK. Speaking at Chelsea College of Arts, the influential painter and feminist Snyder will give a presentation about her work followed by an ‘in conversation’ with Daniel Sturgis, Reader in Painting and Programme Director of BA Fine Art at Camberwell College of Arts. Currently living in Brooklyn and Woodstock, NY, this will mark her first visit to London in almost 50 years. Both Snyder and Sturgis are currently showing as part of the exhibition Playground Structure at London’s Blain/Southern gallery, which runs until 16 September 2017. Joan Snyder, Hard Sweetness”, oil, acrylic on canvas, 5’x5′, 1971, Collection the Jewish Museum, NYC. Snyder first gained public attention in the 1970s with her elegant, abstract stroke paintings. By the late seventies, Snyder had abandoned the formality of the grid. She began more explicitly incorporating symbols and text, as the paintings took on a more complex materiality. 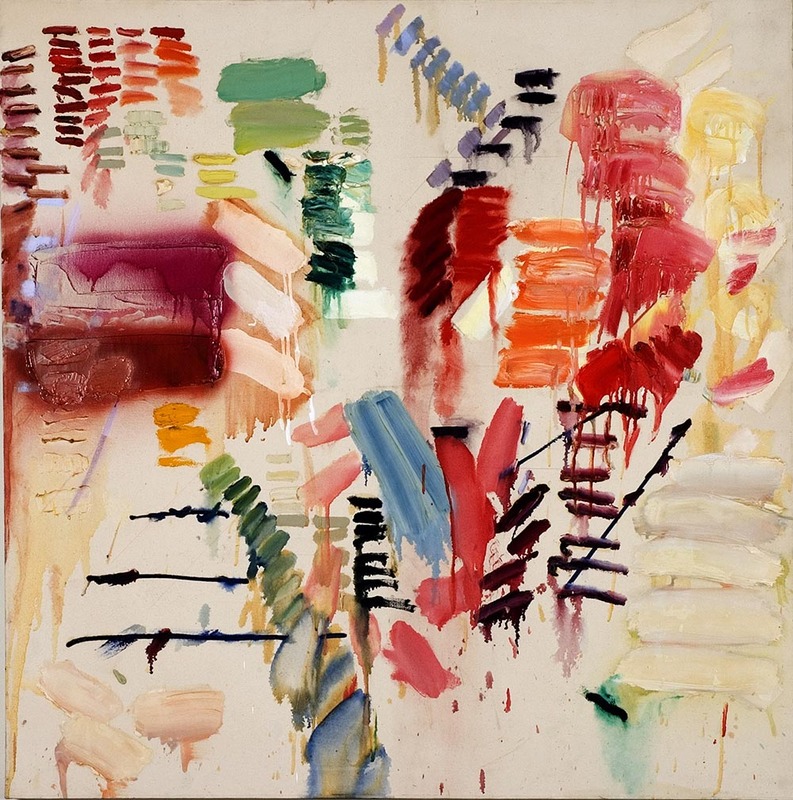 As it states in her biography, although often placed under various umbrellas of art movements – abstract expressionism, lyrical abstractionism, feminism – her work has never been easily categorised. The changing nature of her work, with its combination of personal iconography, female imagery, aggressive brushstroke, and accomplished formalism, has kept her steadily untagged. In terms of her own career, Snyder’s work was included in Whitney Biennials of 1973 and 1981, and the Corcoran Biennial in 1975 and is in many public collections including The Metropolitan Museum of Art, the Museum of Modern Art, The Whitney Museum of American Art, The Jewish Museum, The Guggenheim, The High Museum of Art, and The Phillips Collection. She was a recipient of a National Endowment for the Arts Fellowship in 1974, a John Simon Guggenheim Memorial Fellowship in 1983. In 2007, Snyder received the prestigious MacArthur Fellowship. 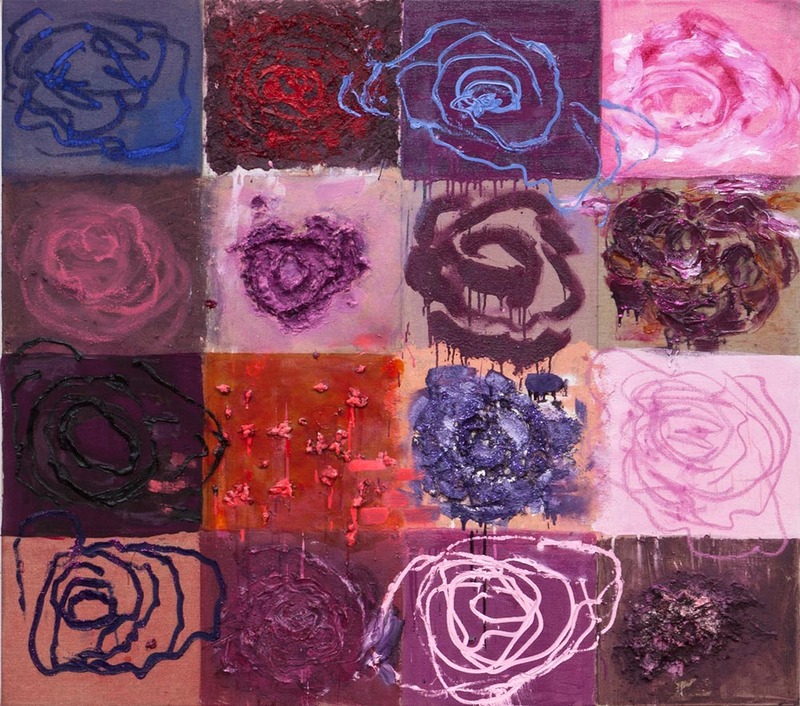 Joan Snyder, Rose Grid, 2015, oil, acrylic on linen, 4’x4. To hear more about Joan Snyder’s fascinating career as an artist to date and her current work, book your free place at the talk on Thursday 7 September, 7-9pm. Find out about studying Fine Art at Camberwell on our course pages.